The number of airplane flights worldwide continues to grow and is one of the many drivers of climate change. 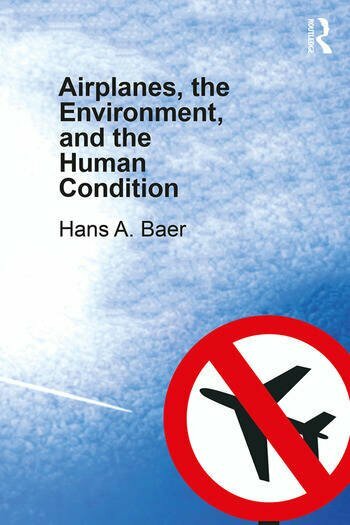 In this book Hans Baer argues that air travel has become a key part of modern cultural and social life and a source of tremendous profit-making, and thus an integral component of the capitalist world system. Airplanes serve to transport both human actors and commodities in order keep the world system functioning, however it comes with dire environmental and climatic consequences. Grappling with airplanes as greenhouse gas emitters, natural resource depleters, and markers of social inequality is all part and parcel of a larger project of creating a more socially just and environmentally sustainable world system. Baer considers how shifting to a more sustainable transport system, including far less reliance upon air transportation, remains a significant challenge. 2. Airports: Nodes or Loci of Economic Development and Sociality? Hans A. Baer is Principal Honorary Research Fellow in the School of Social Political Sciences at the University of Melbourne, Australia.